There is fierce competition among online casinos. They all want your business, and they offer huge incentives to get it. You will be met with huge deposit bonuses on your first deposit, and many online casinos offer special bonuses almost every day of the week to keep players interested and depositing at their site. Online casino bonuses will instantly give you extra cash to play with. This enables you to play longer and have many more chances to hit those massive progressive jackpots. The bonuses do come with requirements before you can cash out though. Keep reading to see some pros and cons to accepting those huge bonuses. Online casinos have a variety of bonuses to choose from. The bonuses are instantly credited to your account once you make a deposit and enter the special bonus code. 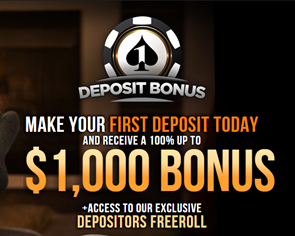 Some sites offer free no deposit bonuses that enable players to receive a free bonus without making a deposit. These bonuses are very enticing because who doesn’t like free money? The bonus amounts awarded are usually huge. Some sites offer 400% bonuses. This means that if you deposit $20 and opt into the bonus, an additional $80 will be credited to your account so you will have $100 to play with. Why wouldn’t someone want to opt-in to that? The reason that some players choose not to opt-in to bonuses is due to the play-through requirement. You must meet the play-through requirement before you can ever cash out your winnings. I always take the bonus. My reasoning is that I either want to win big or bust. If I win big then I will have no problems meeting the play-through requirements, but this is just me. What is a Play-Through Requirement? Almost all online casinos have a play-through requirement when players choose to take advantage of bonus offers. This is a multiple of your initial deposit plus your bonus amount. The play-through requirement varies by casino, but most online casinos have hefty play-through requirements. We have an example of how a play-through requirement works here: A casino has a 20X Play-Through Requirement, and the player deposited $20 and received an $80 bonus. This means that the player starts with $100. The play-through requirement is 20X this initial deposit plus the bonus, so the player must play through $2,000 worth of bets before cashing out any winnings. A 20X play-through requirement is actually low compared to many online casinos. Some casinos require a 40X play-through requirement. Be sure that you read the terms and conditions of a bonus before you accept it. Like I said earlier, I always take the bonus because I either want to win a large amount of money or just have fun trying. Can I Play All of the Games with Bonus? This is another complication that players run into when accepting online casino bonuses. You will be able to play all of the games with the bonus money, but not all games will count toward your play-through requirement. Many online casinos have different bonus amounts available for different games. The largest bonus amounts are rewarded for slots only games. If you like to play blackjack then you will want to choose a bonus that also includes blackjack. Again, please refer to the terms and conditions of the bonus before you accept it. We do not want you to be disappointed with your decision to accept a bonus. You always have the option to not accept a bonus and just play the money that you have deposited as is. If you do want to choose a bonus then there are bonuses galore available for you. You will be able to enjoy hours of casino fun by making a minimum deposit. We have chosen the best online casino bonuses for you. Be sure to sign up at one of our promoted sites to get the best bonuses available.